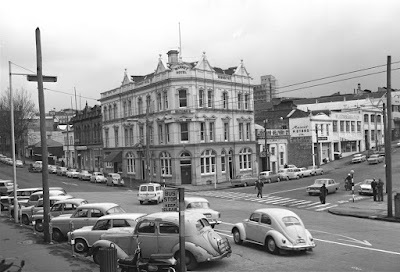 After my father came to New Zealand in 1955 he worked in New Zealand Shipping Co Ltd’s Auckland office. Part of his job was overseeing the provisioning of the company’s ships after they had docked in Auckland. New Zealand Shipping’s fruit and vegetables were supplied by C. W. Wah Jang and Co. Ltd of 31 Queen Street. Strategically located near the wharves and just across from the Chief Post Office, Wah Jang’s did a prosperous trade in fruit and vegetables with most ships floating around the South Pacific. During the Second World War, Wah Jang’s apparently provisioned every United States Navy vessel passing through Auckland! 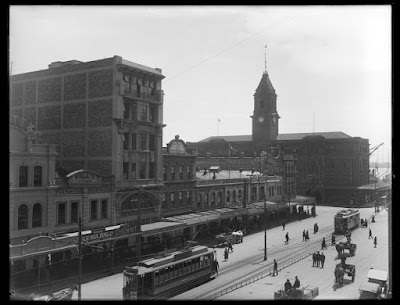 Helene Wong’s Heritage Talk at Tāmaki Pātaka Kōrero (Central City Library) earlier this year on the history of Chinese families in Auckland helped clear up some of the mysteries about Wah Jang’s. Her talk also highlighted the racism with which New Zealand’s Chinese have always had to struggle. The tendency for Pakeha New Zealanders’ to show Anglocentric superiority created a hostile environment where Chinese had to close ranks and defend themselves just to survive. 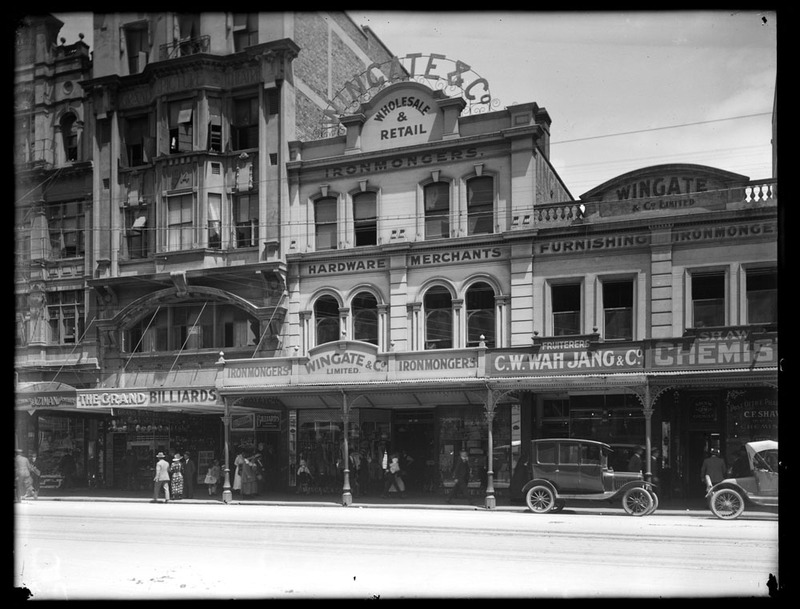 Consequently most New Zealanders did not get (or take) the opportunity to understand Chinese social networks and business structures like Wah Jang’s emporium. The inevitable outcome was cultural confusion. 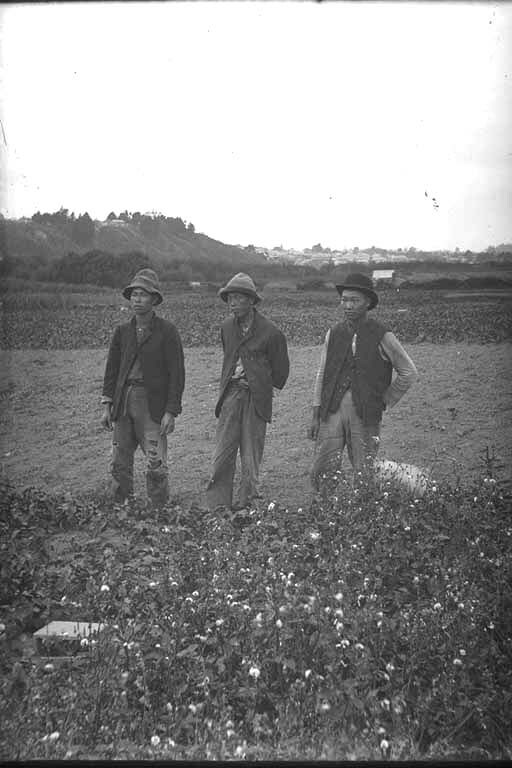 With the end of the New Zealand gold rushes in the 1870s, many Chinese miners moved into the cities or came north to Auckland. They usually established themselves in occupations without need for large capital investment: itinerant fruit sellers, market gardeners or small greengrocers. 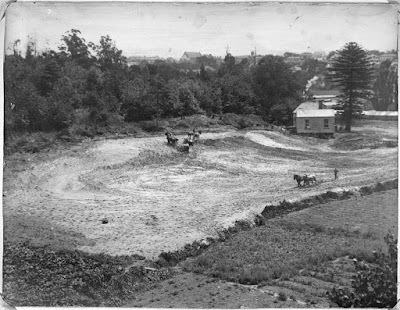 In the early days of colonial Auckland there were market gardens all around the city where land had not yet been settled. One of the first Chinese to start a market garden near Auckland was Chan Dah-chee. Although Chan was his family name, ignorant customs officials decided his surname must be Ah Chee. By the 1880s Ah Chee had established his market garden behind Stanley Street in lower Parnell. It became known as the Tanyard Gully garden. 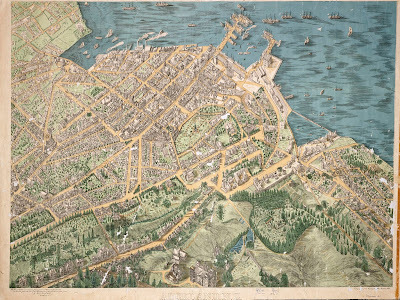 On George Treacy Stevens’ 1886 aerial map Ah Chee’s garden can be seen at centre right behind the trees in the Domain and bordered by Donaghy’s rope-walk in Stanley Street. Ref: George Treacy Stevens. 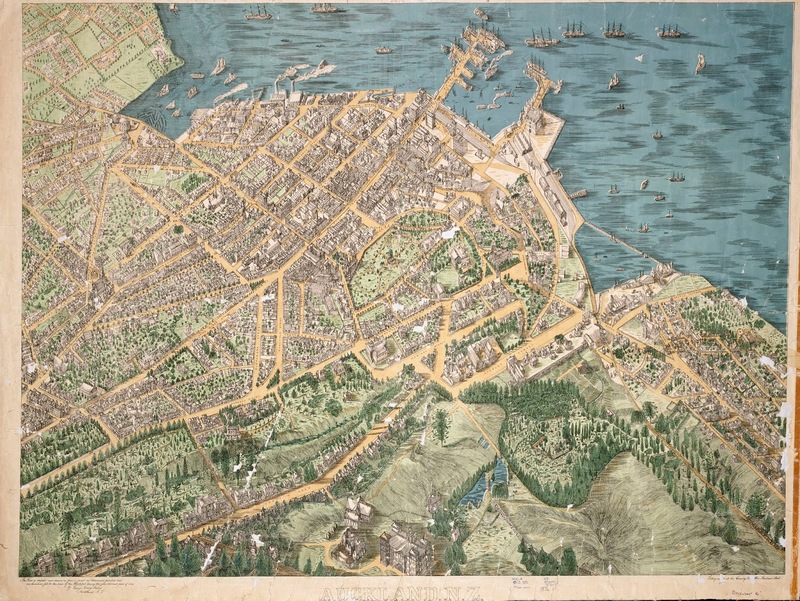 A birds-eye-view map of Auckland, 1886. Ah Chee’s lease on the Tanyard Gully garden expired about 1916. Although he applied to renew his lease, wealthier and more influential Pakeha wanted the land for rugby league. 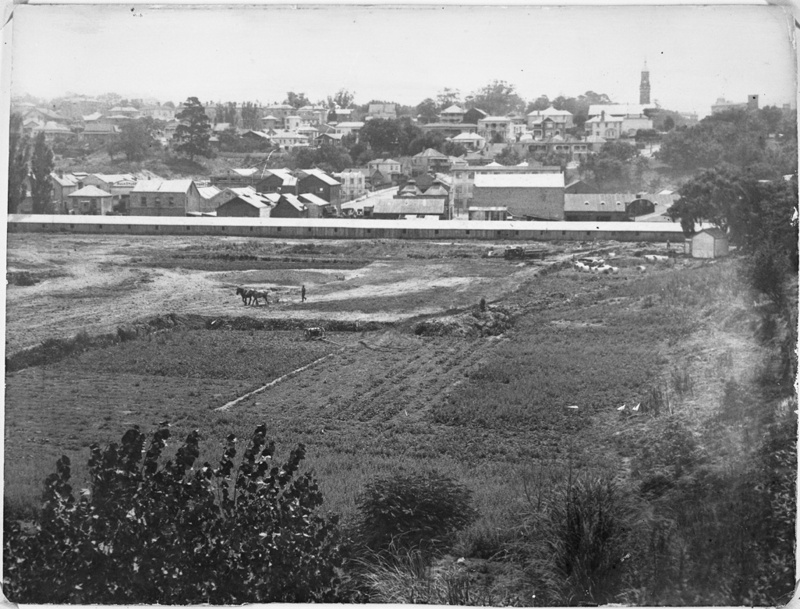 The inevitable decision was that Carlaw Park would be developed on the land where Ah Chee’s garden was located. Ah Chee’s heart went out of market gardening and vegetable selling. 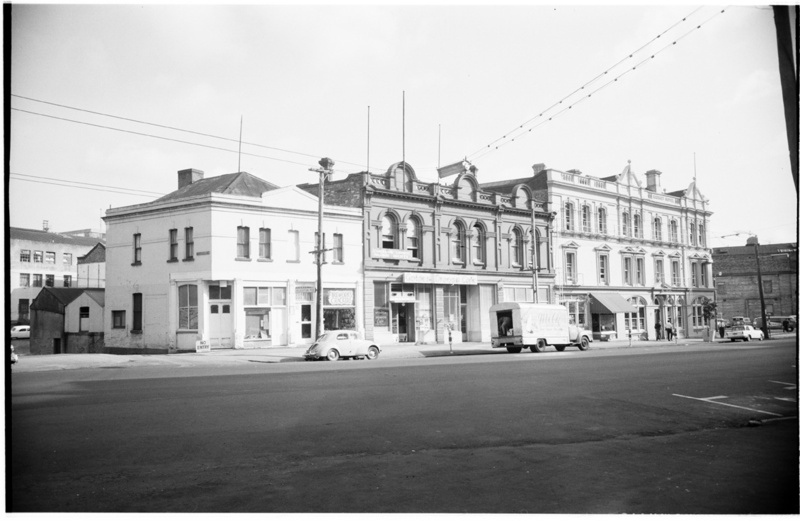 After winding up his business, he left money to his sons who continued market gardening in Eastdale Road, Auckland. Then Chan Dah-chee went back to China. He never returned to New Zealand. Following are two photographs showing the development of Carlaw Park. They were both taken in 1921 and show the clearing and harrowing of the rugby league fields adjacent to Chan Dah-chee’s vacant and disused market garden. Ref: Unknown photographer. 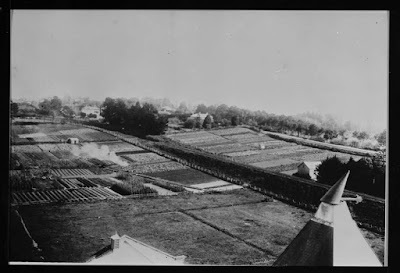 Looking west over farmland, now Carlaw Park, 1921. 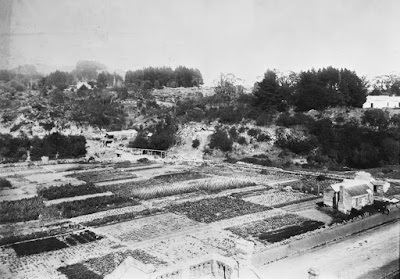 Because Auckland’s suburbs still contained large areas of undeveloped land in the late nineteenth century, Chinese could lease land and establish market gardens in many areas. 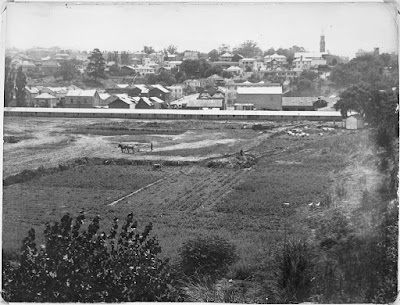 The photograph below is a panoramic view of Newmarket looking southwest towards Mt Eden and showing large Chinese market gardens in the foreground. 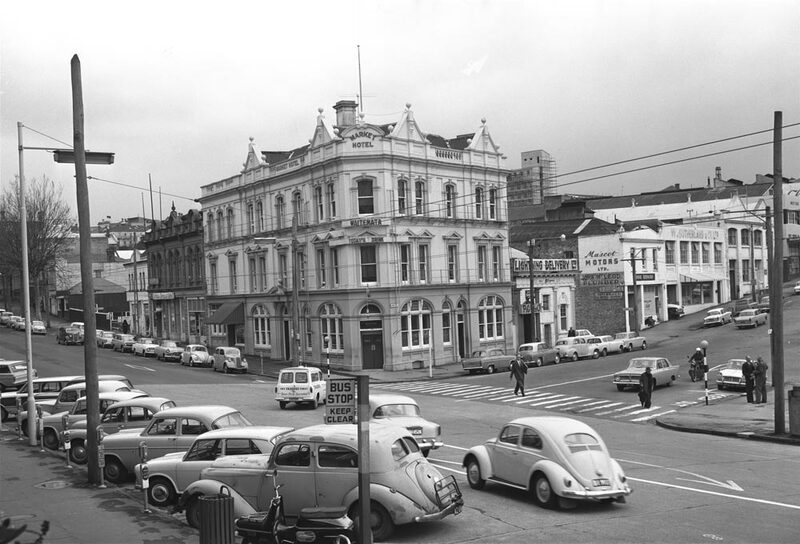 The two following photographs were also taken from the roof of the Captain Cook brewery in Khyber Pass. The first looks west towards Symonds Street, and the second northwest towards Carlton Gore Road. Both show large areas cultivated by Chinese market gardens. 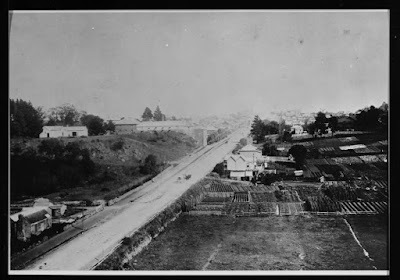 But in the same way that Chan Dah-chee lost his lease, so these market gardeners would lose theirs as Newmarket suburb grew and the Captain Cook and Lion Breweries amalgamated and expanded their plant along the northwestern side of Khyber Pass and up towards Park Road. Returning to Wah Jang, who exactly was he? Wah Jang and Co. was started in 1913 by Wong Yee Chong (or Wong Yi Cheung) and Henry Chin (also known as Chan Gau, and perhaps Chen Jiu?). Two other Chinese, Jee Kai (or Kwang Tzje Kai) and Ah Wah, also joined the partnership. Shortly after the advertisement was published the original partnership was dissolved when ‘Wah Jang’ and Ah Wah retired. Henry Chin and Wong Chong now formed a new partnership, and this continued for the next nine years as C.W. Wah Jang and Co; with the ‘C’ standing for ‘Chan’ and the ‘W’ for ‘Wong’. Then finally on 3 October 1931 the firm became an incorporated company called C.W. Wah Jang and Co. Ltd. But then further adding to the confusion, the Auckland Star for 15 November 1941 said the director of Wah Jang’s was Andrew Chong, who was also called Wong Wing Yee! Many years later a Chinese Times correspondent recalled that others who worked at Wah Jang’s were Huang Chunchun, Guan Ziyu, Huang Shengchun and Huang Yuchun. Ref: New Zealand Herald advertisement, 28 October 1922, Papers Past. Helene Wong told us that Wah Jang was not, in fact, a real-live person. Instead she said that the Chinese character ‘wah’ means peace, while ‘jang’ means both trading and hotel, so the phrase ‘Wah Jang’ suggests a peaceful trading house and hotel. While Wah Jang’s was primarily a fruit and vegetable retailer and grain wholesaler, the shop was also a community centre where Chinese people could get legal and business advice and negotiate business insurance. In romanized Chinese characters, C.W. Wah Jang and Co. Ltd was known as ‘Chen-Huang Hezhan.’ ‘C’ is for ‘Chan’ (or ‘Chen’) and ‘W’ is for ‘Wong’ (or ‘Huang’.) Romanized ‘Hezhan’ seems to refer to a station. In the essay ‘Qiaoxiang and the diversity of Chinese settlement in Australia and New Zealand', H.D. Min Hsi Chan suggests Wah Jang’s shop was a way-station where travellers could rest. Wah Jang’s provided communal meals and a dormitory for travelling Chinese, together with a booking agency arranging travel for those arriving in New Zealand looking for work or returning to China. 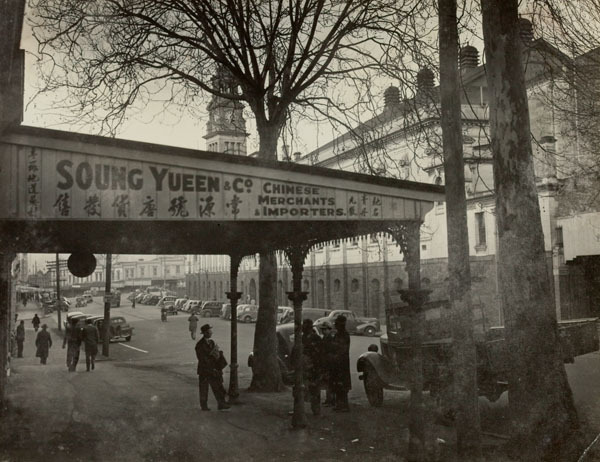 Other Chinese businesses established themselves between Greys Avenue, Victoria Street and Hobson Street. This area unofficially became Auckland’s Chinatown. There were other well-known businesses like the grocery merchants and importers Soung Yueen and Co. Ltd in Greys Avenue. But those looking there for someone called Soung or Yueen would be further confounded because the shop was managed by the Fong family. Ref: Alton Francis. A view of Greys Avenue, 1940s. Further up Greys Avenue were the premises of Thomas Doo, whose family also owned the neighbouring Golden Dragon Café. Above the café was the Chinese Masonic Society. Next door to the Doos was Wah Lee’s grocery shop. Thomas Wong Doo’s Cantonese name was Wong Kwan Doo. He was another Chinese person to be re-surnamed by ignorant customs officials. But Thomas had the last laugh. 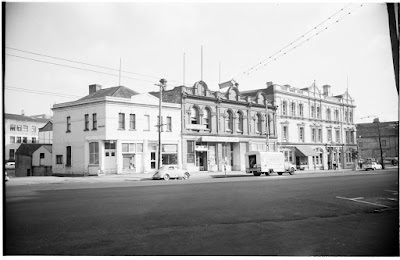 By the 1940s he and his family established a successful import and distribution business in Hobson Street. Thomas Doo is best known to generations of New Zealanders, young and old, as New Zealand’s fireworks king. 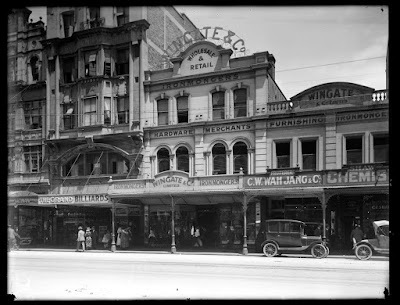 Wah Jang’s Queen Street store disappeared when downtown Auckland was developed in the early 1970s, but many other old Chinese family businesses are still with us today. The Fruits of Our Labours: Chinese fruit shops in New Zealand by Ruth Lam, Beverly Lowe, Helen Wong, Michael Wong and Carolyn King details the history of just some of them. The photograph below is a tribute to their gardening ancestors. There are a number of talks during the Auckland Heritage Festival (29 September to 14 October 2018) which relate to the history of Chinese families in Auckland: Pukekohe: Working the land, Remuera presents: Chinese fruiterers of Remuera, 'Looking for a Better Life': Early Chinese settlement, From Arch Hill to the table: Chinese market gardens, and Avondale's Chinese market gardeners. With thanks to Margaret Lay of Auckland Libraries and Barry Wah Lee of Wah Lee Co Ltd for advice about the intricacies of the written Chinese language.